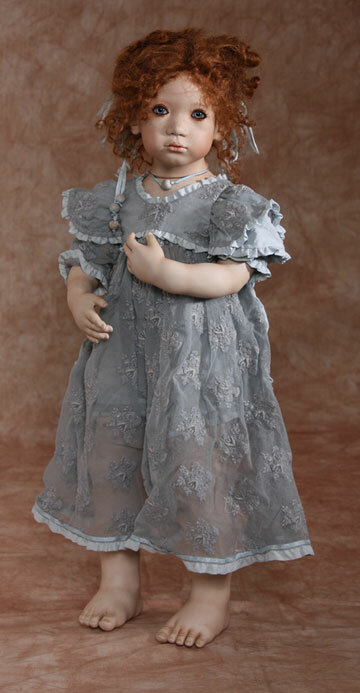 Annette begins modeling in porcelain, developing the technical expertise which would later bring her great acclaim within the doll world. 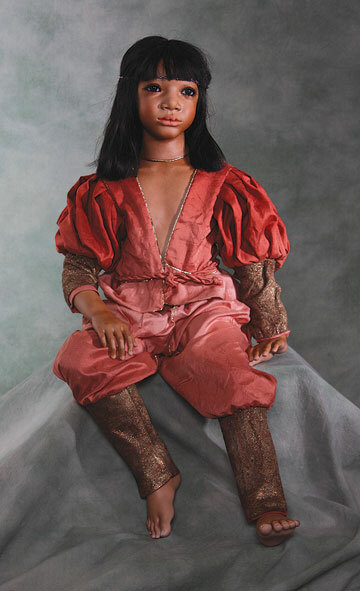 Neighborhood children model for a collection of portrait dolls, bringing magazine publicity and notoriety almost overnight. 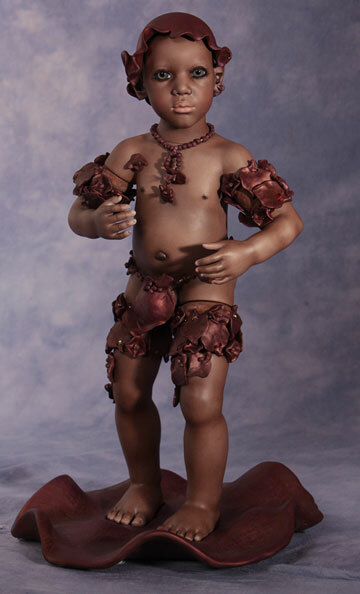 During a trip to Africa for UNICEF Annette photographs a young girl named Fatou and sculpts her. 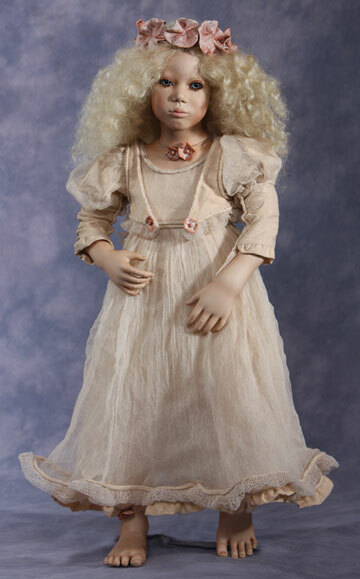 This is the catalyst for Annette to create a line of vinyl dolls. 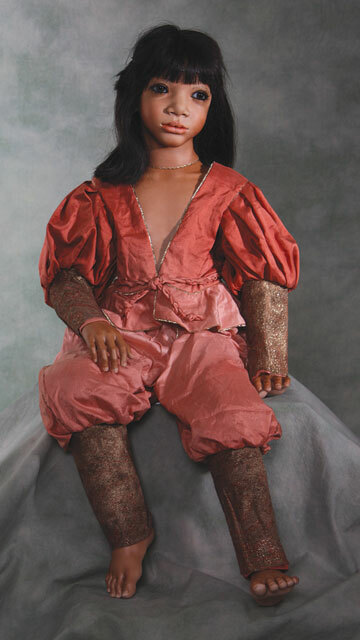 Fatou, Lisa and Bekus were her first non-porcelain dolls. 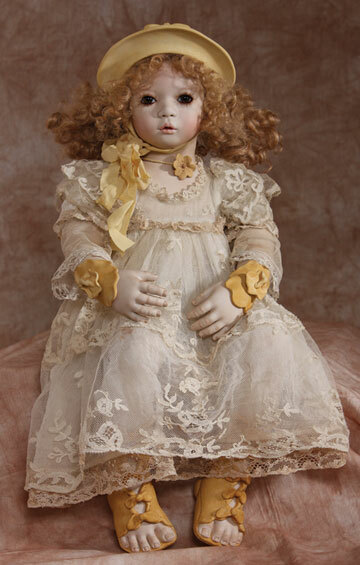 Annette settles on Puppen Kinder (Doll Children) and Kinder Aus Porzellan (Porcelain Children) and registers these names as her trademarks. Danny and Barrie from the Toy Shoppe meet Annette at her booth in the Nuremberg Toy Fair where she introduces her Barefoot Children to instant commercial success. 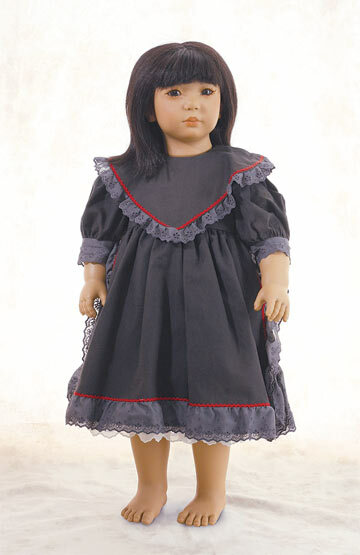 Annette resolves to build her own doll manufactory in Paderborn, Germany. 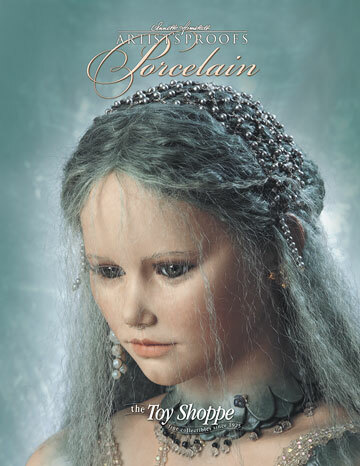 Signing tours across America and Europe give Annette the chance to meet many collectors. 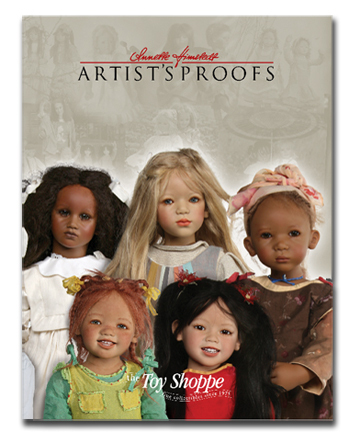 Annette and her team move into her new doll manufactory. She finally has the scope to develop new techniques and realize them. As many as 80 people will be employed there at one time. Himstedt Club founded. 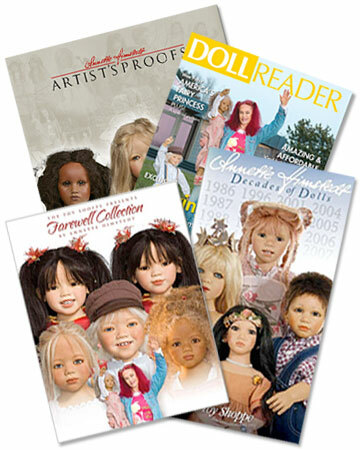 Member benefits include Undine, a club magazine chronicling Annette's work. 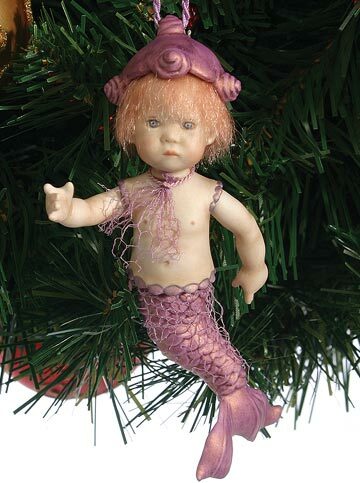 Club Gift is mini version of annual Club Doll. 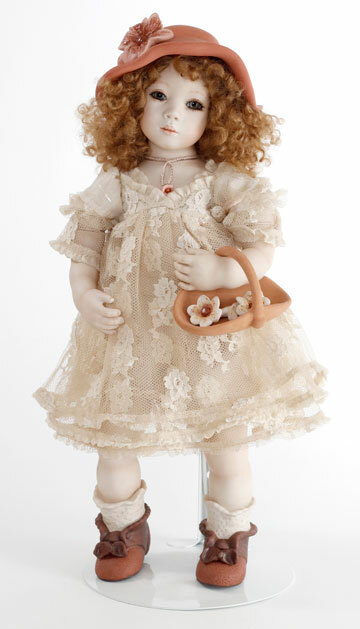 Every doll in each collection would be a limited edition from this time forward for more exclusivity. 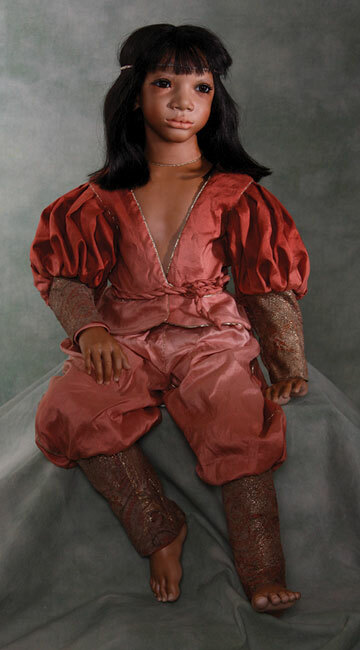 The first World's Children Summit featuring dolls of varying ethnicity, from Eastern Europe, to the Caribbean to Africa. Such variety was a refreshing change from the often stereotypical selections produced by other designers. 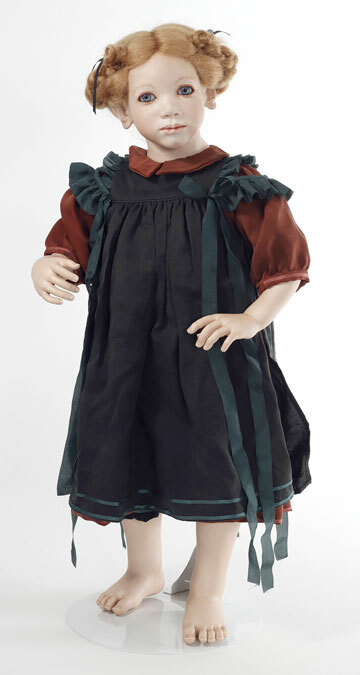 Open Days begun to allow collectors to see up close every stage of the doll making process and meet the artist. 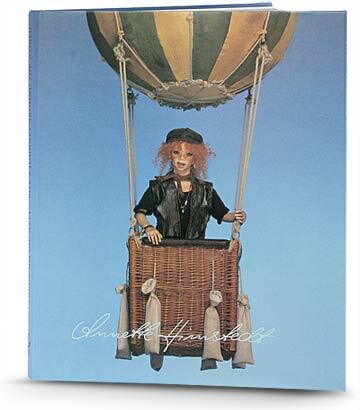 Annette closes her manufactory, ending an unparalleled 23-year creative era. Demand for her past editions increases as production ends. The time is near for me to close my manufactory doors for good. It's a testing time - first of all with the realization that it couldn't go on anymore, which came as a shock and was paired with feelings of panic and worries for the future. After the first dust had settled though, I have been able to view my situation much more calmly and was able to make plans for the remaining time in the manufactory, and I'm now very happy that I am able to conduct the closure in a very controlled way. These last few months and the remaining weeks (it's mid February as I'm writing this) have been and will be crazy. I'm going through absolutely everything I've accumulated over the last 20 years since we moved in here - which, believe me, is loads and loads. At the moment we're producing the last orders that came in during 2008, we're making all the Club Gift Minis and I'm dealing with the sale of the manufactory premises. There are also a few rather unpleasant things to deal with (which I don't want to bore you with here) and lots of other things too. So you see on the one hand it's still business as usual but then there is so much else to deal with. This a very unusual situation for everybody here, because all members of staff have been given their notices, but a lot of them stay on to see production through to the end. As you can imagine I'm very sad to see all my long-standing members of staff go. And I'm sad that I have to let go of everything that I built up for myself. But on the other hand I'm starting to look forward to the future, which kind of comes naturally to me. 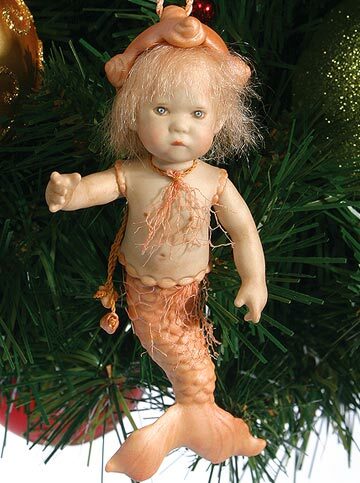 So many times in the past I had to go through changes: to keep the dolls interesting, to become independent of producers and so forth. 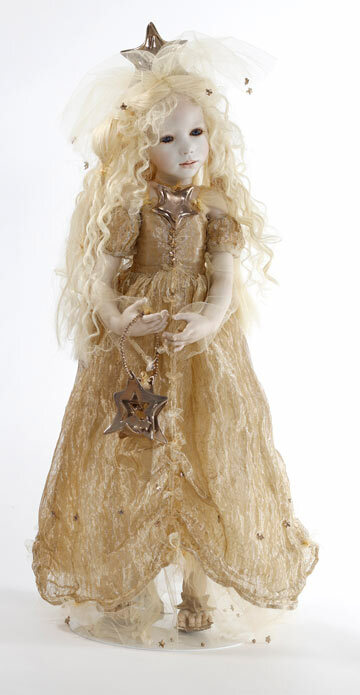 The collectors that have known my dolls for a long time will know what I'm talking about - they've gone through lots of the changes with me. With that in mind I feel contented when I'm thinking about the future and I know that it'll be exciting no matter what. And what's been a consoling factor through this time is the feeling that I have been able to create something in the past 25 or so years that is lasting and will give myself and my collectors pleasure for a long time to come. 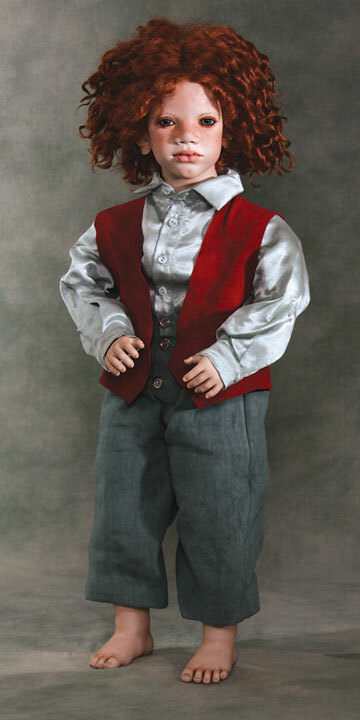 For example when I sent out Eddie for Danny and Barrie's backorder recently, I felt so happy about him. Eddie is one of my all time favorites. 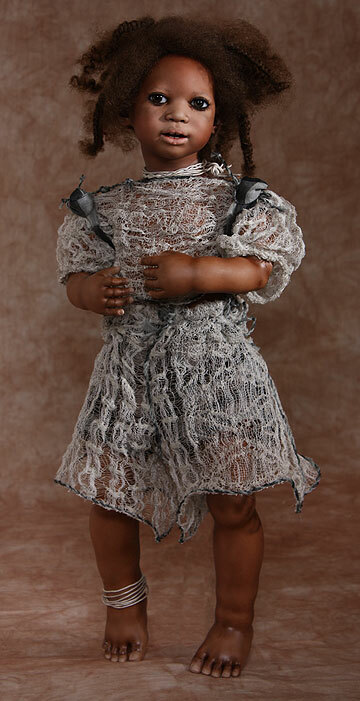 Eddie, like my other favorites too, is a doll that needed to win people's hearts to begin with. 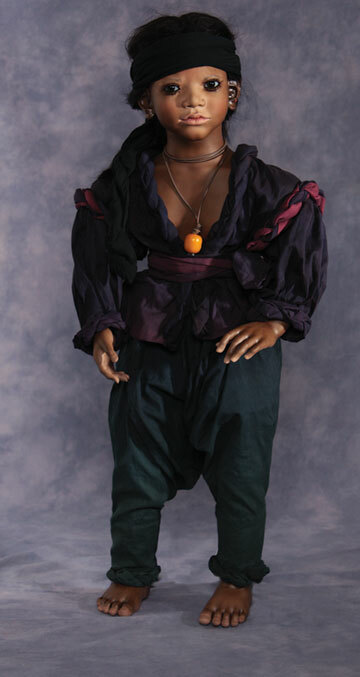 He wasn't one of those dolls that collectors see and say: 'that's the one!' (although to me he is...) People needed some time to appreciate him. 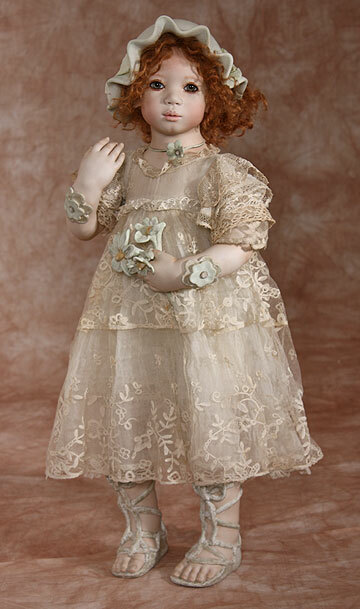 I love dolls that have character. This is what makes them unique and beautiful in their very own way. 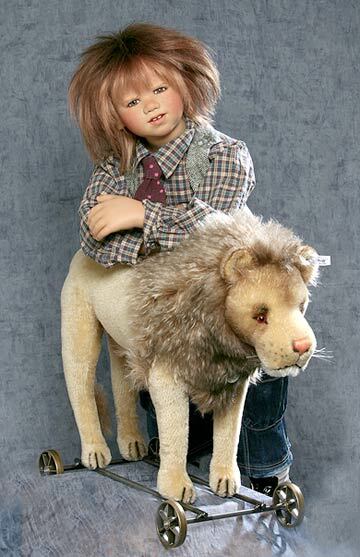 I feel that Eddie is like that - I already felt about him that way when he was a raw porcelain head (as you may know I have modeled all my dolls even the ones for the vinyl collections in porcelain). 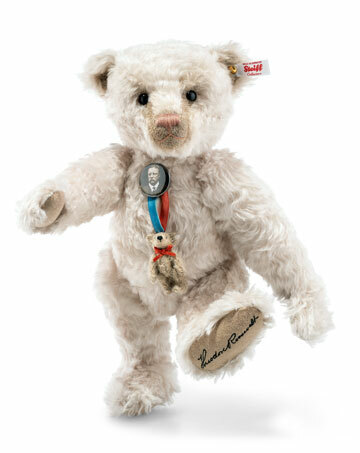 I would like to thank all my collectors for their enthusiasm and loyalty over the years. And I would like to thank Danny and Barrie for all the years that we've worked together- ever since the Barefoot Children - my very first vinyl collection from 1986. Thank you for all the years of a very involved, yet easygoing and very successful business relationship and a hopefully ongoing great friendship. 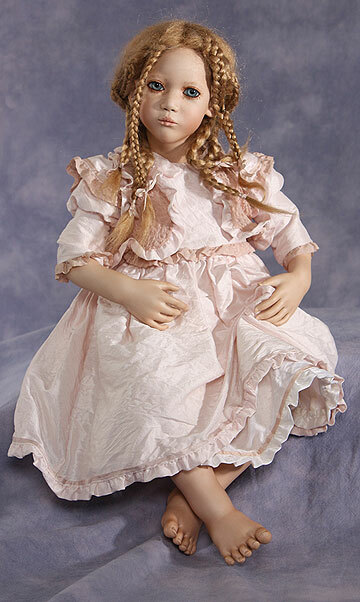 Since the Annette Himstedt manufactory is now closed, we would like to take this opportunity thank you all for your love of dolls and your long lasting loyalty and the good relationships we've had. 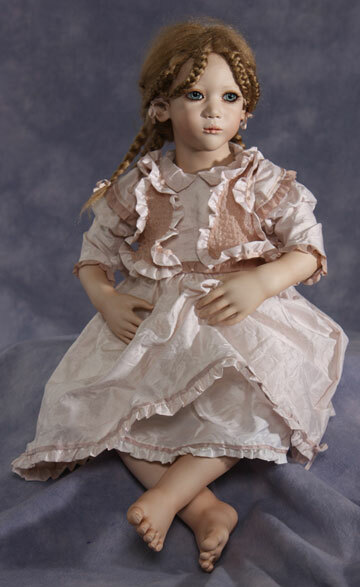 These were eventful 23 years, which you were able to share with Annette Himstedt, her team and of course the Himstedt Kinder and Himstedt Masterpieces. 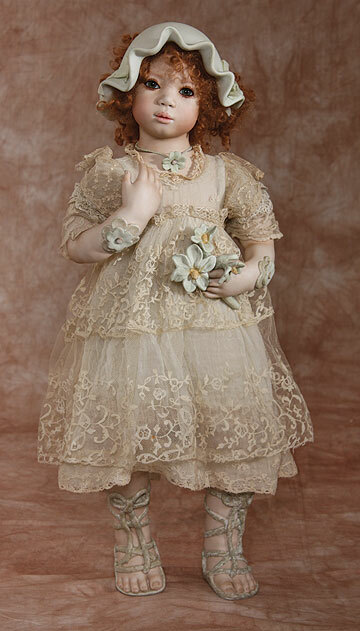 Many of you were enchanted by the charm and the extraordinary charisma of Annette's dolls. Your hearts were in this as much as was Annette's for all these years. Over the years you have lived through many changes with me, which generally tended to have a very positive outcome. This time I unfortunately only have very sad news for you. In 1986 I introduced my very first vinyl collection. Now - 23 years later - I will close my manufactory towards the end of the year 2008. There have been tremendously successful years, but there were also very tough ones. 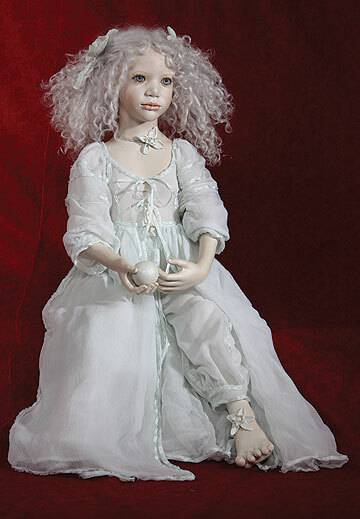 Either way, one thing was always of utmost importance to me: the joy and the ambition to always create increasingly better dolls. Through the years I've gone through a lot of changes, partly deliberate, partly because I had to. 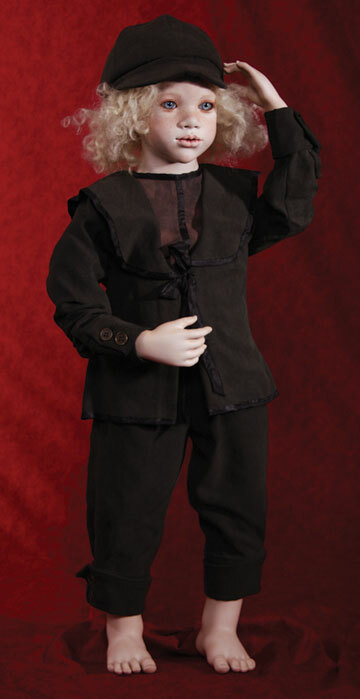 The world of dolls is constantly changing, for which I'm in part responsible. To get better, to work more elaborately and to achieve higher quality standards, has made collectors and retailers alike more and more demanding as a result. 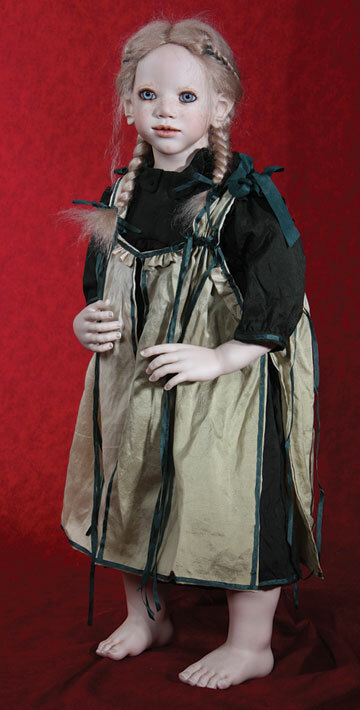 The dolls became more and more expensive in the making, due to the material and wig costs on the one hand and the need to employ more and more members of staff on the other. In the last few years I employed between 50 and 80 members of full time staff. In addition people's financial situation has got more difficult in the last two years. Economic problems the world over, rising energy costs, and more recently the credit crunch, the crashing property market and many other factors have contributed towards people becoming less inclined to spend their money as easily as they could in the years before. Times got harder and the unfavourable US exchange has not helped the situation. For the five years between 2003 and 2007 we have unfortunately experienced very big losses as a result of this. Because we have compensated for the bad exchange rate by charging a much lower rate to our American collectors. But because the dollar got weaker and weaker, in 2007 the losses were so enormous that we simply couldn't sustain them anymore. 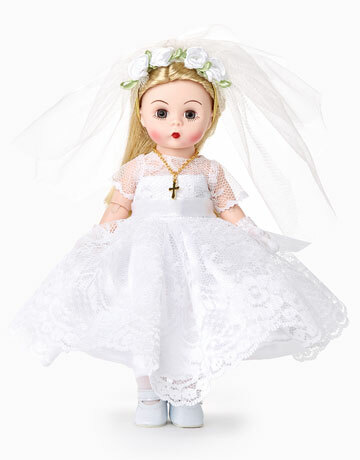 We had to increase the doll retail price in the US this year to get closer to the real exchange rate. For our American collectors this meant of course a lot of money. But we just couldn't keep calculating our dollar prices based on an exchange rate of $1.15, where in fact it was closer to $1.60 to the Euro. 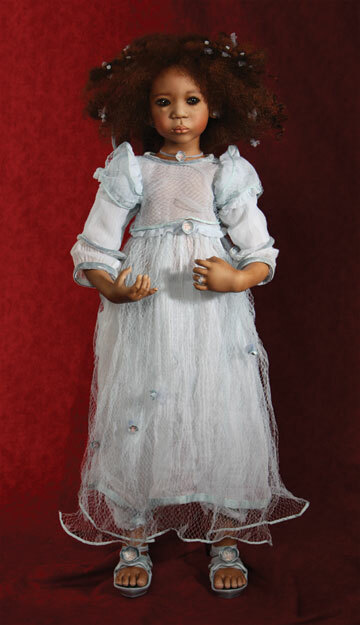 The simple truth is that to sustain a company like mine that produces high quality dolls in Germany a set amount have to be sold each year. Unfortunately the orders we're getting aren't enough any more. 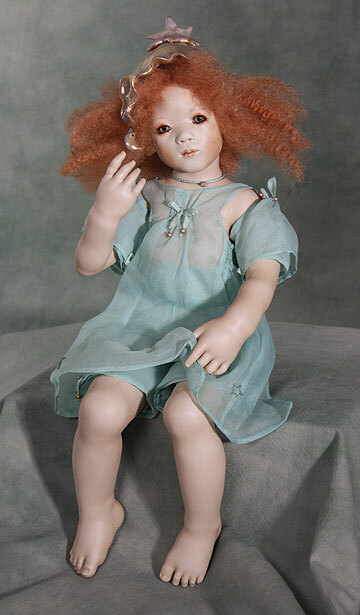 As a result I have no choice but to close my manufactory by the end of 2008. We will fulfil all orders of the Sommer Kinder, the Club Minis as well as all orders that will get to us by mid November  . 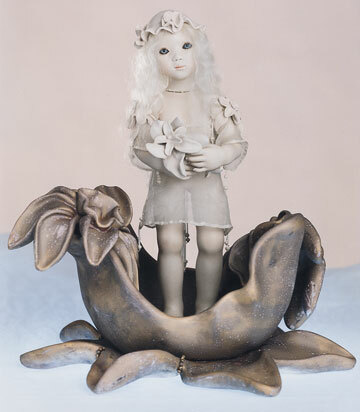 I think that the last collections will become as popular as my first collection in 1986 was at the time. I am sure that they will increase in value. I have spent nearly a quarter of a century in my manufactory and worked there with passion, much discipline and a lot of idealism. I have enjoyed working with my team, whom I would like to thank once more for their hard work and commitment. Some of them have been with me since the very beginning. I thank my collectors and retailers for their faithfulness over the years. I have experienced many highs as well as a few lows during this time but the pleasure I have been able to bring to collectors worldwide has always been the central driving force for me. 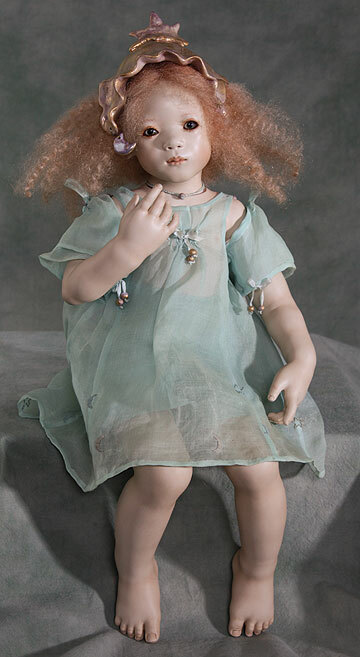 I hope that Himstedt collectors will continue to cherish all the different dolls that were created and lovingly crafted from the manufactory here in Paderborn. 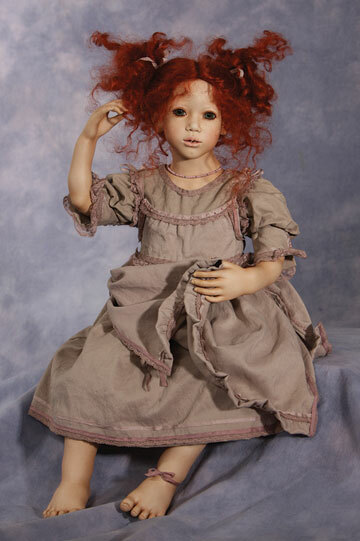 I am sure that I'll remain in the world of dolls in some shape or form, but how exactly this will be I don't know yet. One thing is certain though: it won't be with a manufactory.